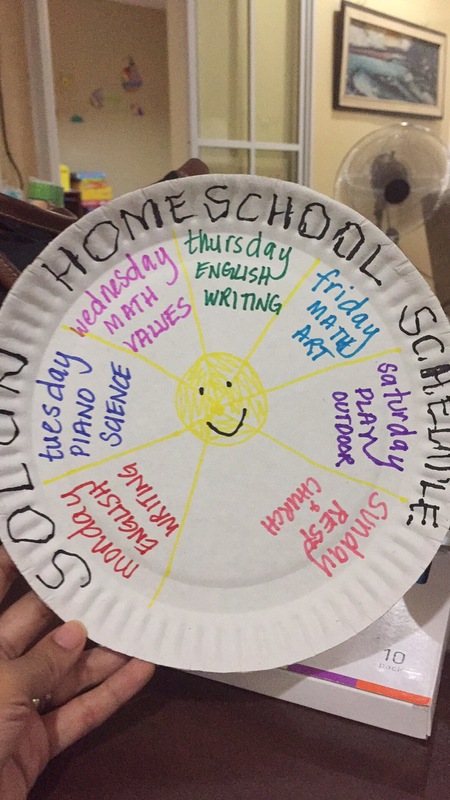 These are activities done at home with my children that you can try to do at home as well! They say 4 year old boys like math and girls like writing and phonetics. 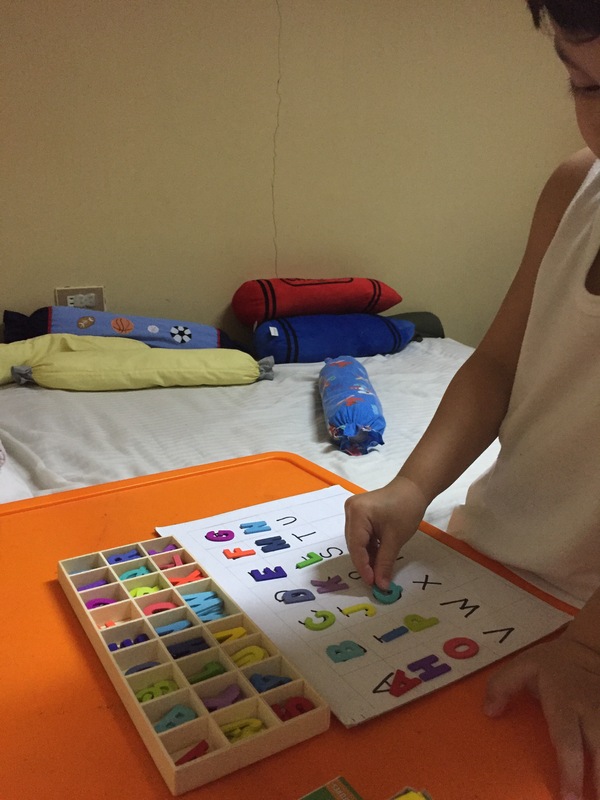 In our case, Joshua was assessed in Eye Level ( a supplementary education provider) and he was better in his math than writing or reading in English. 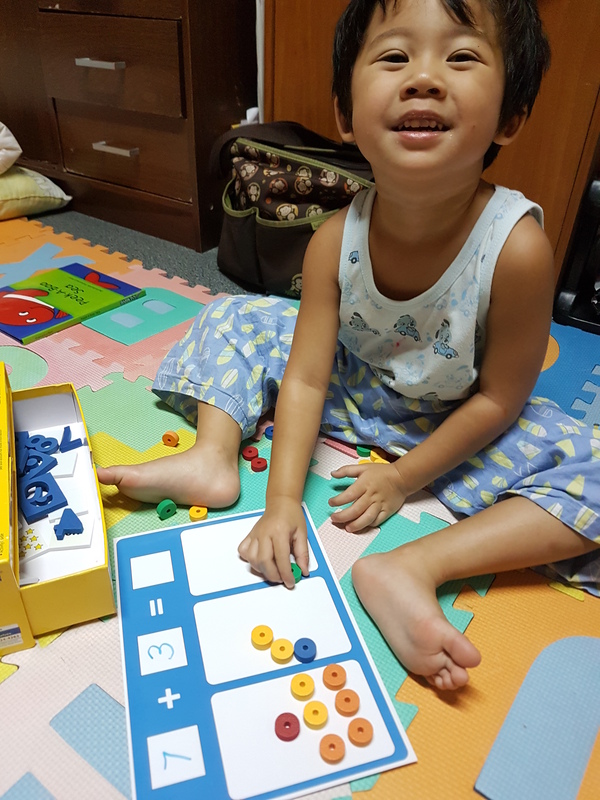 So, I decided that his math continues with me at home. So what happens during our Math time? We do a lot of playing. We have dice games on a poster filled with numbers 1-100. We drop the dice randomly on the poster and on whatever number it falls on you have to read it out loud! Example the dice fell on 76, Joshua has to say “seventy-six”. It’s a fun game with kids his age! Next, we start going through the addition concept with some tools. 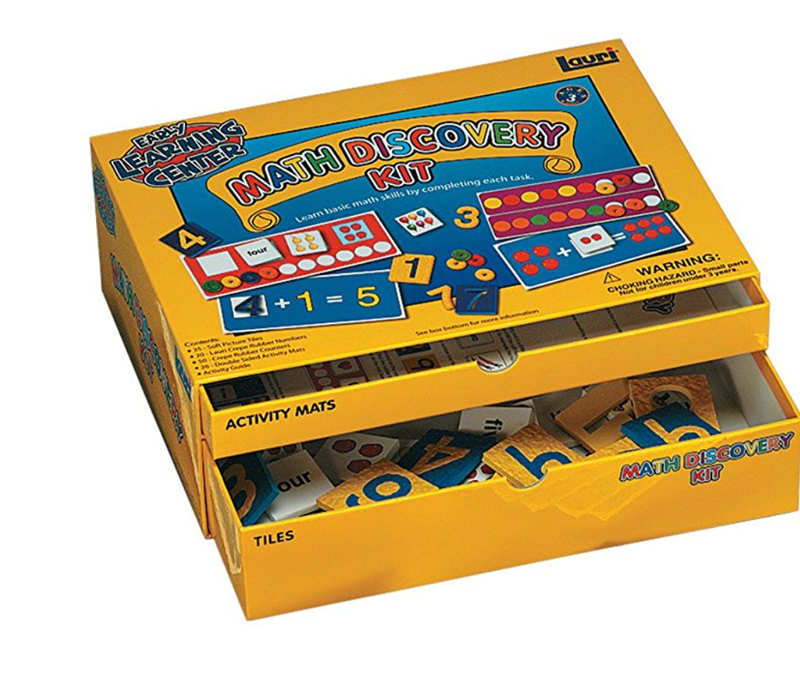 I bought this Math Discovery Kit in Amazon when I was in the US and this has been very helpful. There are many ways to use the kit. 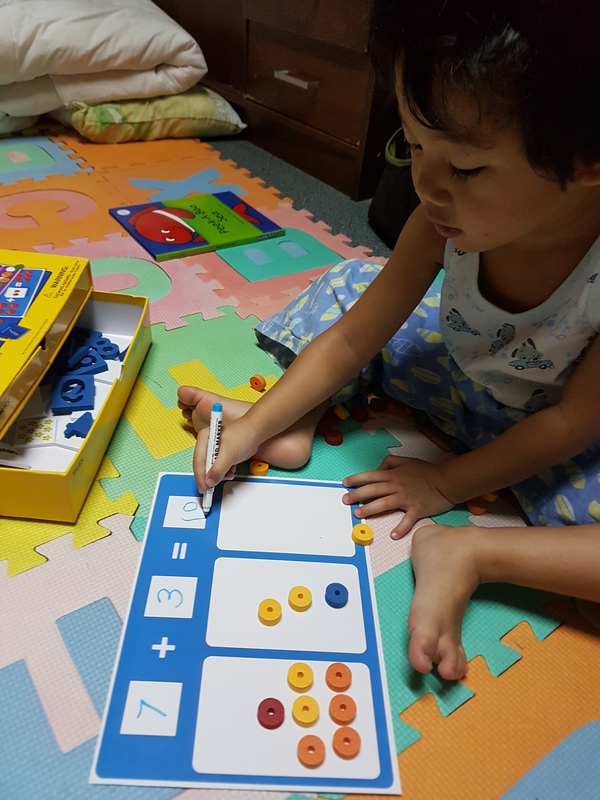 Recently, we used it to learn and practice Addition. The tools make the addition concept easy to understand. 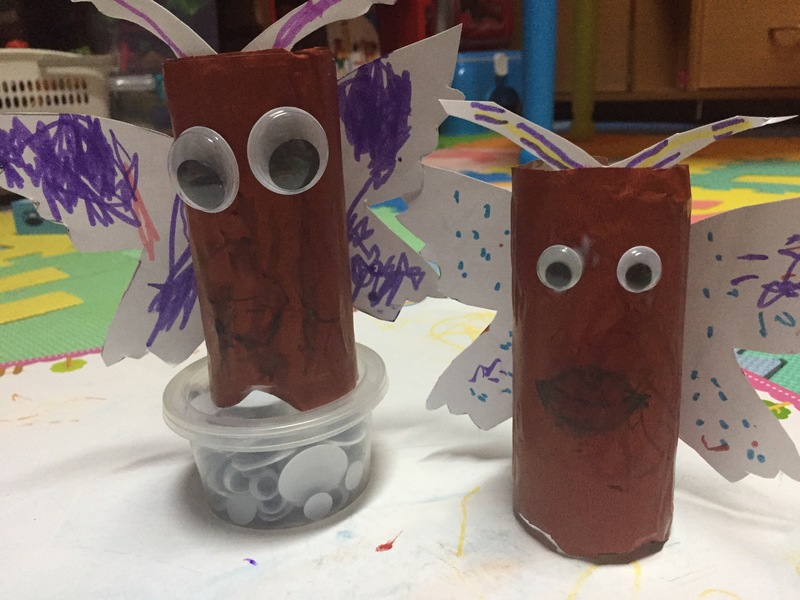 The method looks fun and enjoyable to do for 4 year olds. Placing and counting these circular buttons help Joshua visualize the meaning of the number. 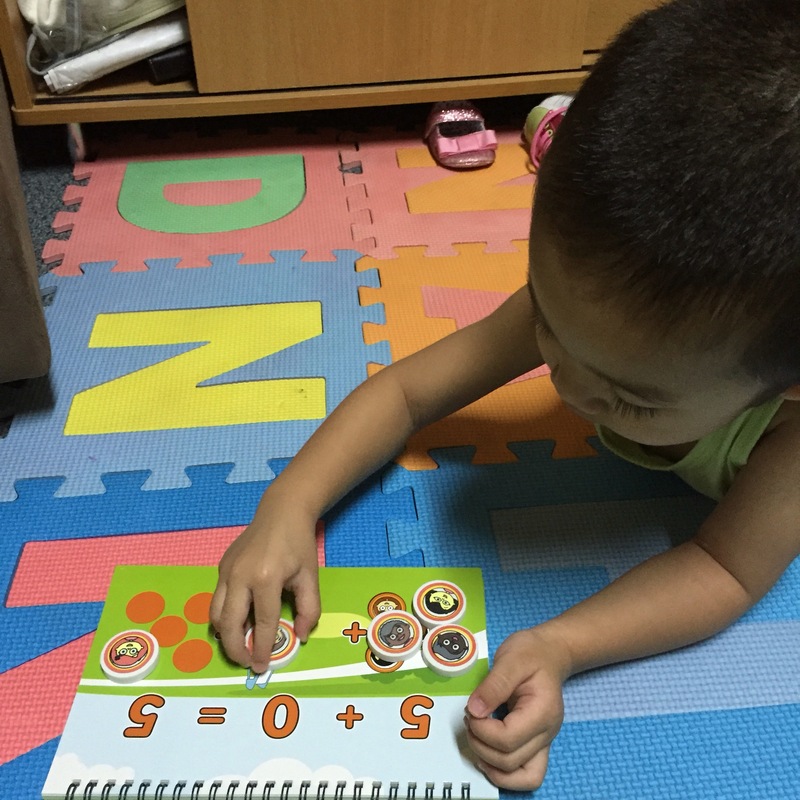 When he reads out “nine plus six equals”, he starts getting curious what number it will be. When he finishes counting all the buttons he is confident he got the right number and so he starts writing. This is enjoyable stage and hopefully we are off to a good start. 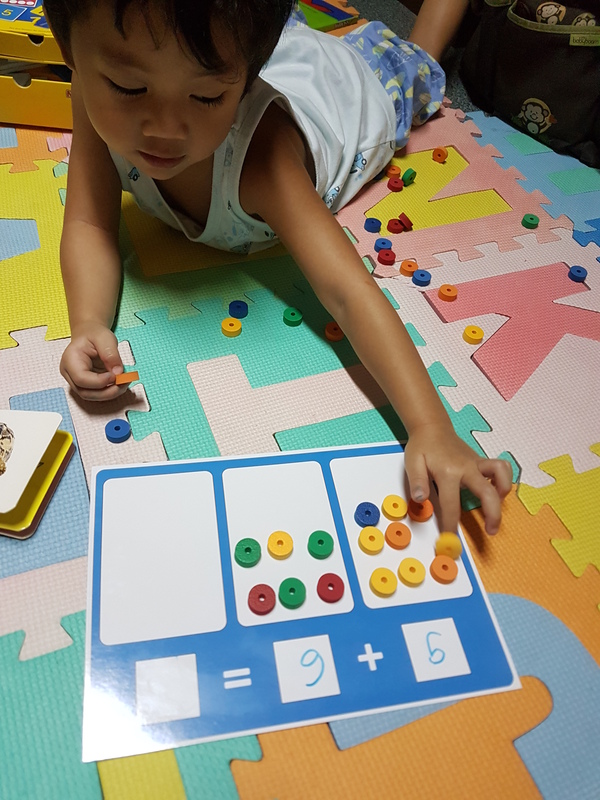 I pray that I can truly teach him well to love math and be good at it. 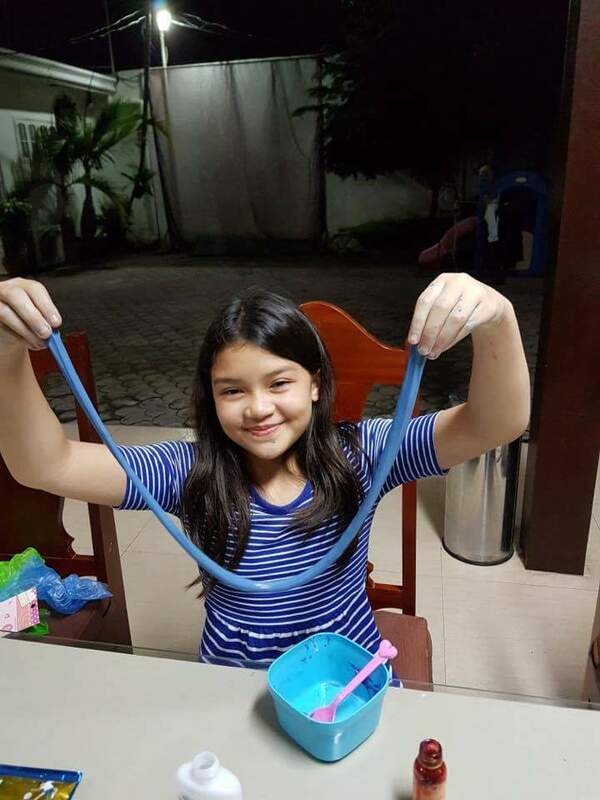 This idea came when our 12 year old cousin, Alexa mentioned that her classmate was selling slime in school. 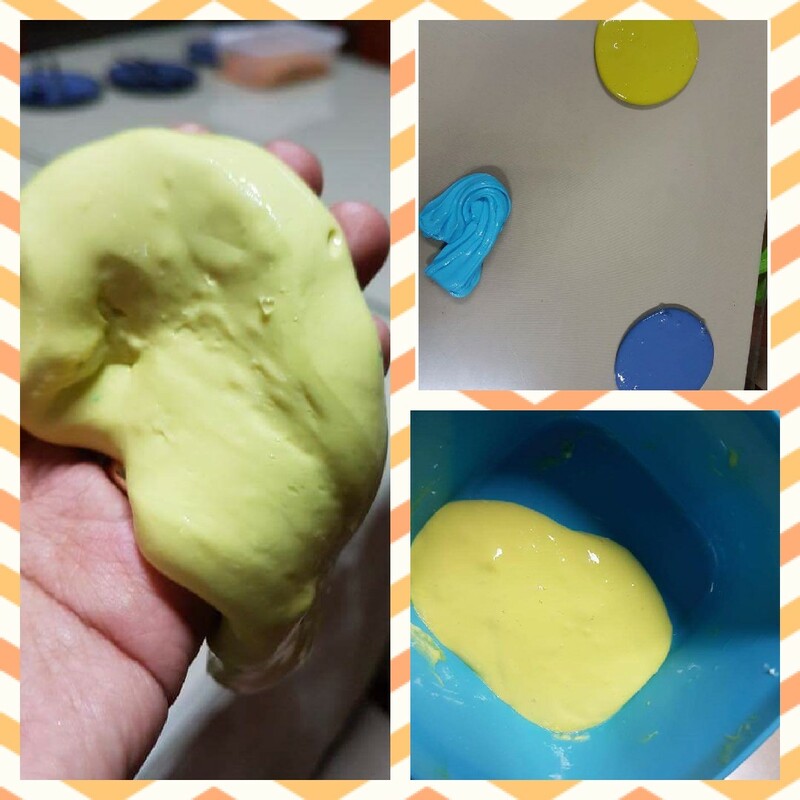 My kids have been bugging me that they do want to play with slime. So, it was a great idea to start researching how to make our own home made slime! You will also need 1/4 cup and spoons and a small container where you can mix it all together. 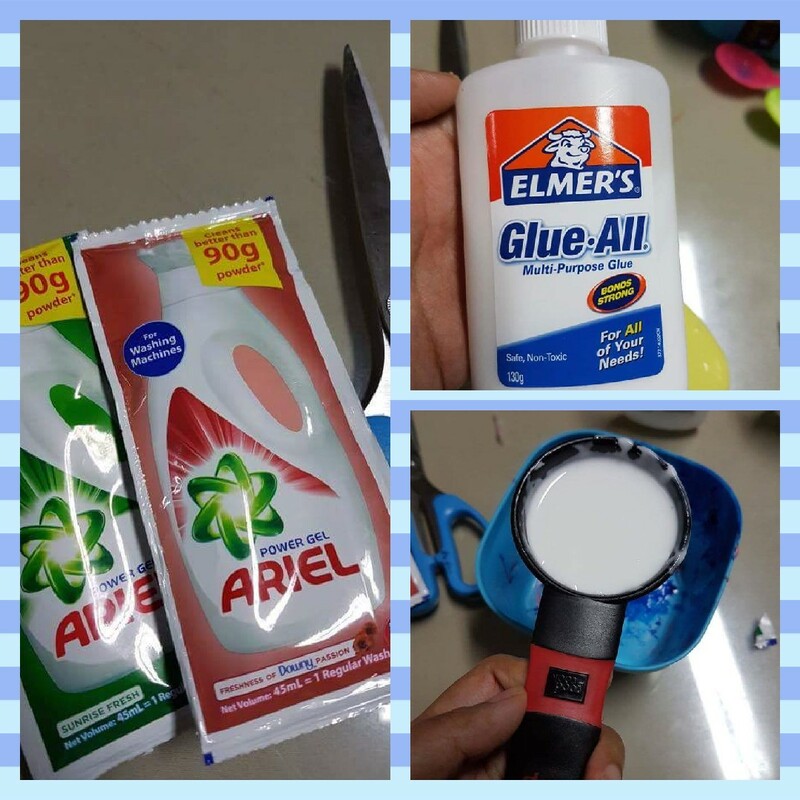 You put the ELMER’S Glue on 1/4 cup and place it in a mixing container. We suggest you put in the drops of food coloring. Then, place 2- 3 spoons of liquid detergent on the mixture. Using a spoon, mix in circular motion the ingredients. You will keep mixing until you notice the mixture sticking together. If it’s not sticking as a slimy dough you can opt to add half a spoon of liquid detergent. It was so much fun preparing it… but it was more fun playing with it for hours! 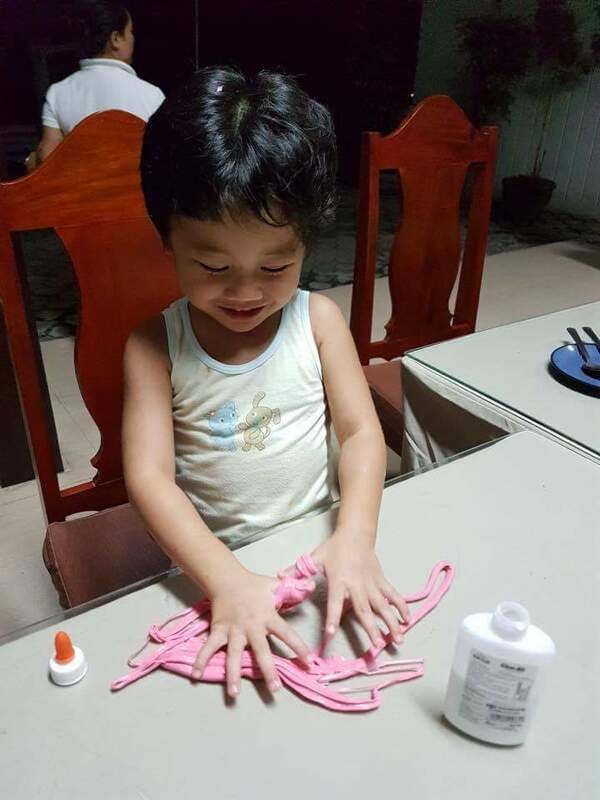 My son just did not stop creating stuff with the slime and each one was just amused with their creation. 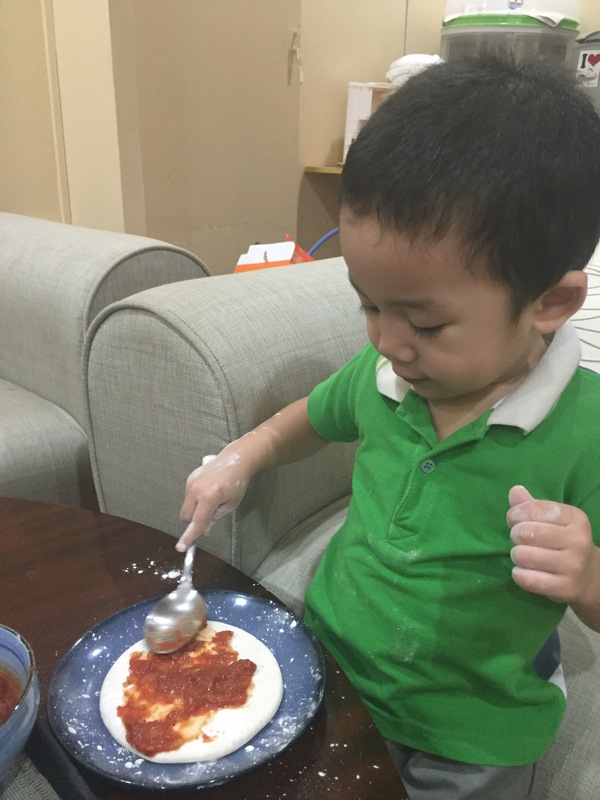 In case your kids place the slime on their clothes and you cannot remove it, don’t worry! Remove the affected clothes and soak it with detergent ( I used the Calla brand) overnight. The next day, you will find the slime removed or removable from the fabric. 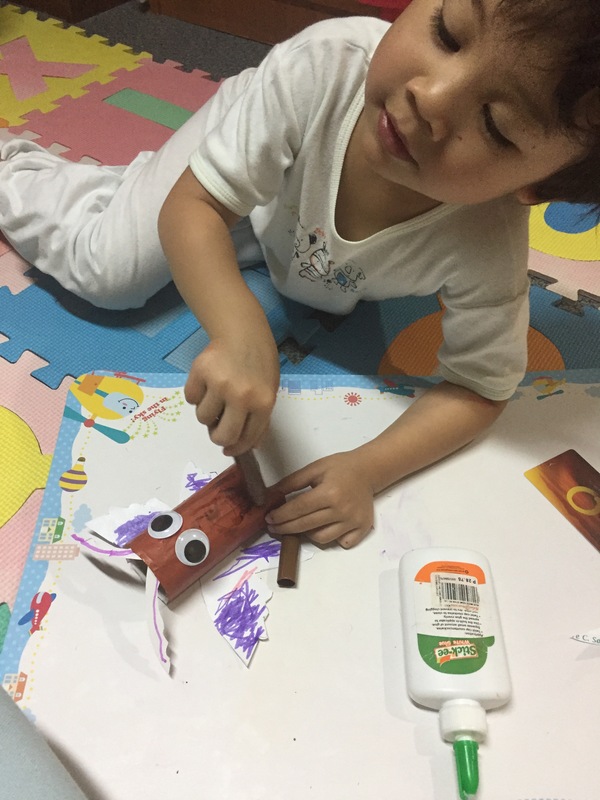 Hope you can make use of this activity as a bonding and creative activity with your kids at home! 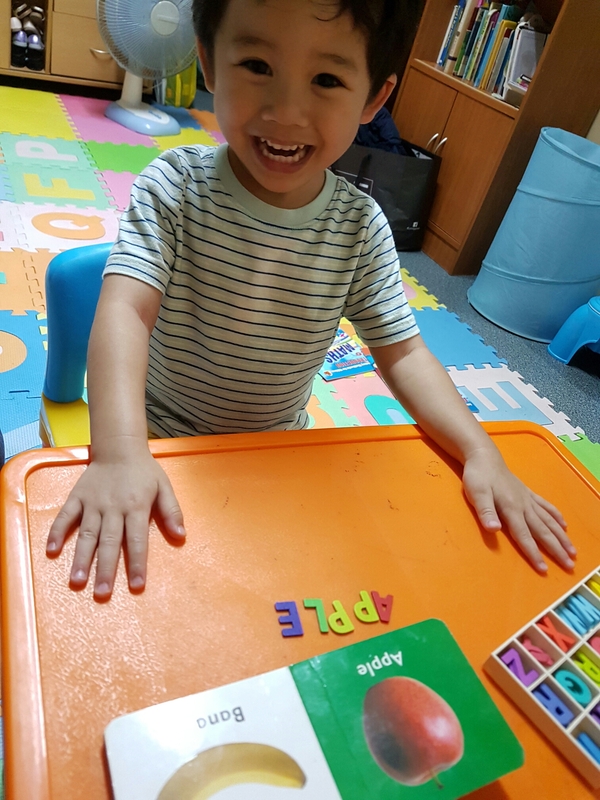 When Joshua saw the wooden cut out letters I bought, he was so thrilled! He was excited because it came in many colors and looked like fun! So I used it to make him look for the right letter to spell words. Then we tried a different approach. 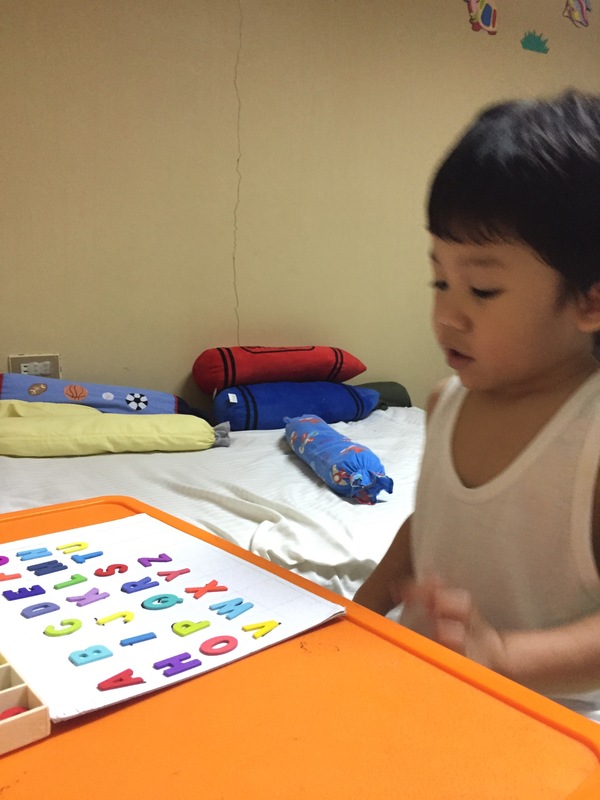 He had to find all the right letters to all 26 letters of the alphabet. He worked hard on it! After A-G, he was already breaking a sweat. The reason I believe he was challenged because he had to complete 26 letters. Well I encouraged him to go on and he probably finished this activity in 12 minutes! When he was done it felt like an accomplishment. But he was also so tired looking for the right letter to match his chart. I’m so happy he never gave up and was able to succeed in this task. This is a good activity to do at home. The reading milestone came as a surprise. 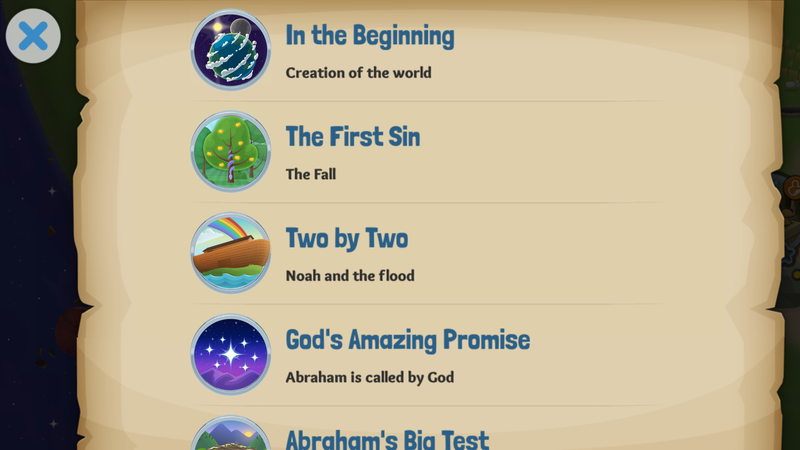 You see, Joshua and I have been going through alphabets and their sounds. Everytime I try to push him to read, he would always show disinterest and would rather do numbers. When that happens, I just go with his flow and do subjects or topics he likes. 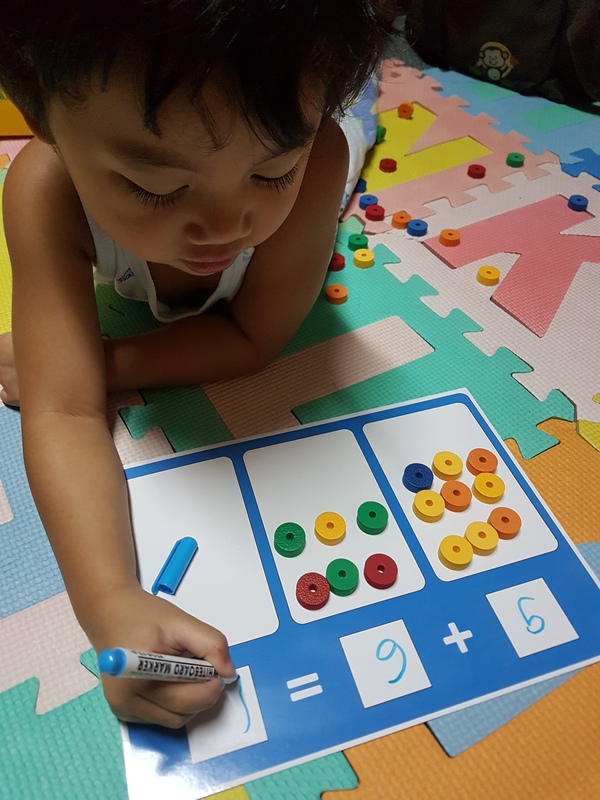 So that day we did writing practice, we did some counting, and again when we were about to do letters, he again did not want to continue. He was eyeing to open my portable TABOO game. I told him I can’t let him play with it because it requires reading and he still can’t read. I did not realize that challenged him. 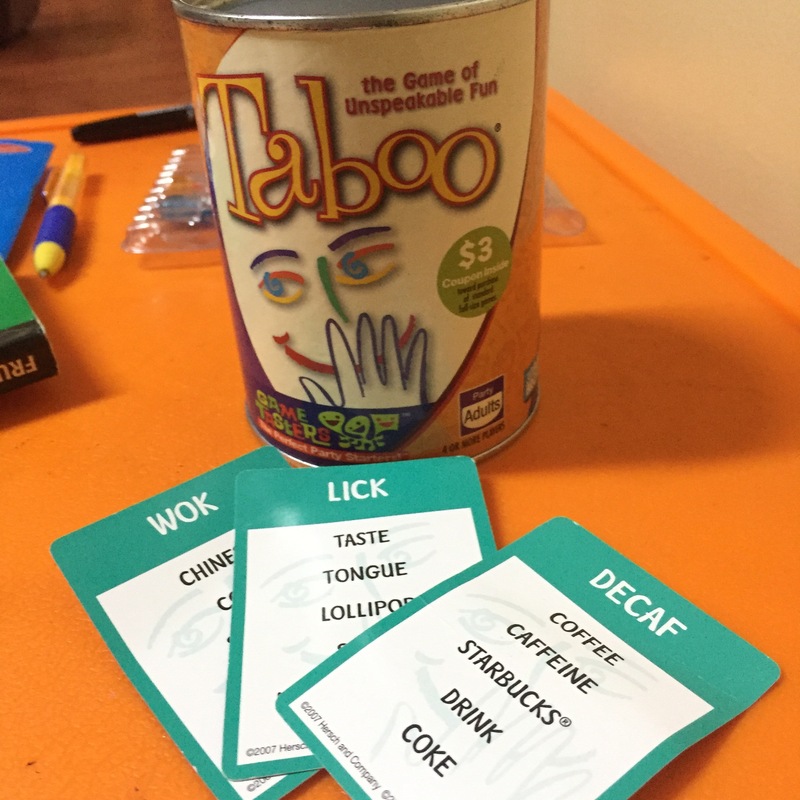 He really wanted to open Taboo game and try to read. So I allowed him to open the game and we went through some of the cards. The first one I showed him was “Mickey Mouse” and as he slowly followed the sound of every letter, he read it on his own! I was so thrilled. But to make sure, I tried another card and the word was “Donald duck”. Yes again he slowly read it! I was happy because he finally got encouraged to read. There is joy as well for my little boy because he felt accomplished being able to read! We did a lot of high fives too because he read at least 15 words that day! I thank God for such a blessing to see my three year old’s literacy blossoming before my very eyes. Here is a video of Joshua slowly reading some words. It’s a mother’s joy so bear with my excitement! 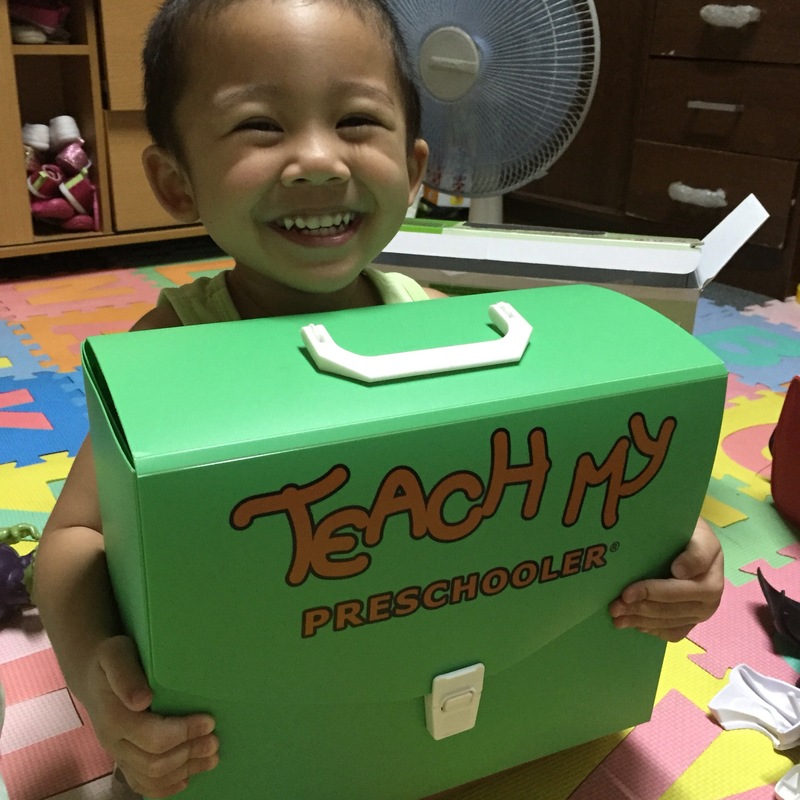 I was very happy to purchase on Amazon this kit called “Teach my Preschooler”. It has 4 categories and only needs 20 minutes of concentrated time. The Kit includes numbers, math, writing, and intro to reading. Joshua is pretty excited about it and he can’t stop going through the bag. So we started with numbers. It has a booklet that helps your child get familiar to numbers from 1-100. When we went through it, I was really having so much fun because Joshua was able to count 1-100 on the first round! Not bad for a 3 year and 1 month old. 2 days later, Joshua begged to try out the math. He is getting more and more familiar with the concept of addition. The concept of zero is actually more difficult to comprehend than adding actual number values. But the more we practice, the more he will master it. So yes, home school has started in our home. At this age, a lot of it is play. 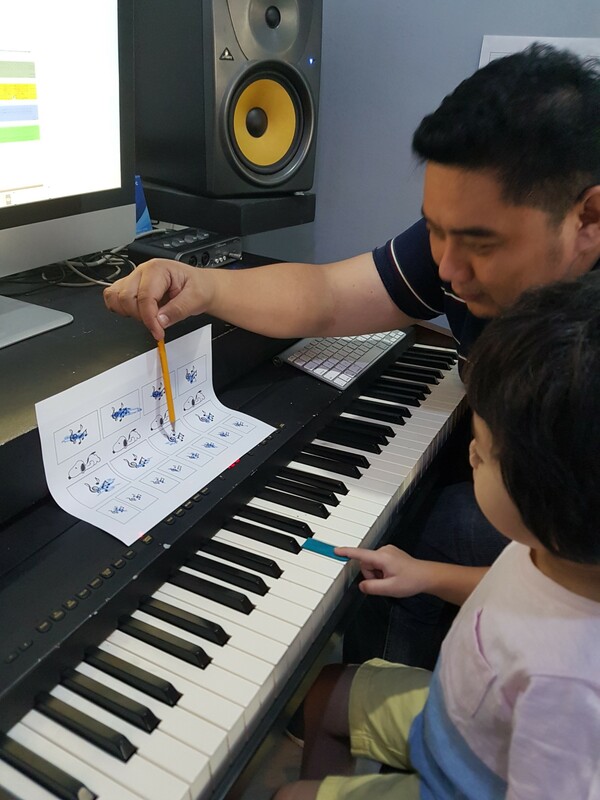 It helps being creative when bringing up the concepts learned when we play. For instance the concept of addition. As we play “guess how many in your body?”, we ask questions like, “how many eyes do you have?” and then we check by counting the body part. I will keep asking till we reach fingers and toes because It is more challenging to count. It’s been a blessing more than a challenge to teach my son. Looking forward to witness how he is growing in knowledge and wisdom. 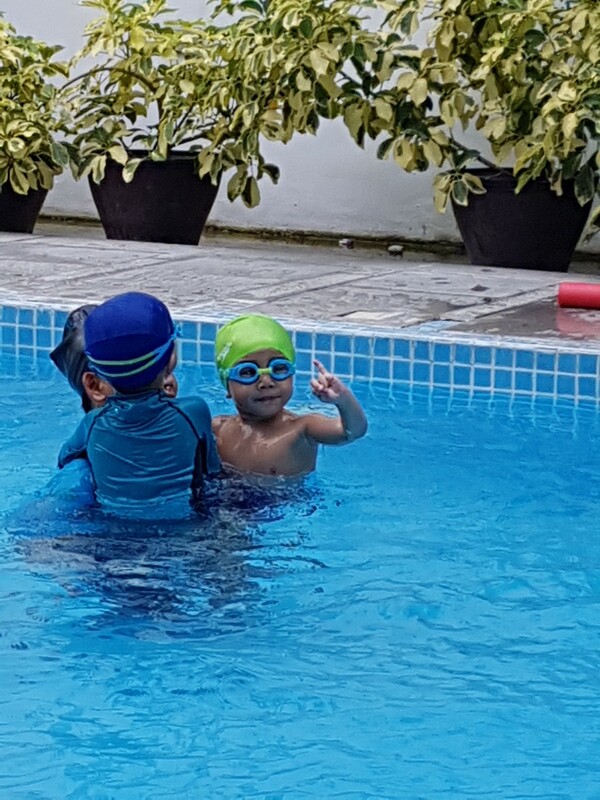 Joshua is a big boy now. He always wants to be the one to do things. You will hear him say, “Joshua will do it” or “I want to do it”. He even cried several occasions when I did not listen to him and did the chore myself. It’s a good age. He wants to wash his own hands, he chooses what he wants to wear, he does chores like clean the floor with a broom. All I have to do is ask if he is open to doing it… And most of the time I get a “yes”. One afternoon, I had to think of a good snack for Josh. 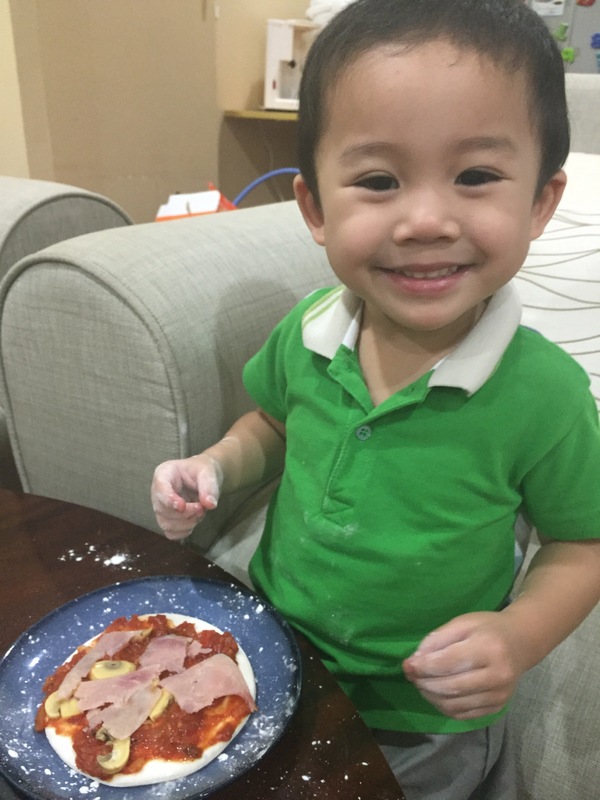 Making a home made pizza is one fun activity. Of course it would be under mom and dad’s supervision. Tomato sauce (you can make your own using whole peeled tomatoes, pepper, white onions, oregano, basil leaves, and a little sugar boiled in a pan until it becomes thick). 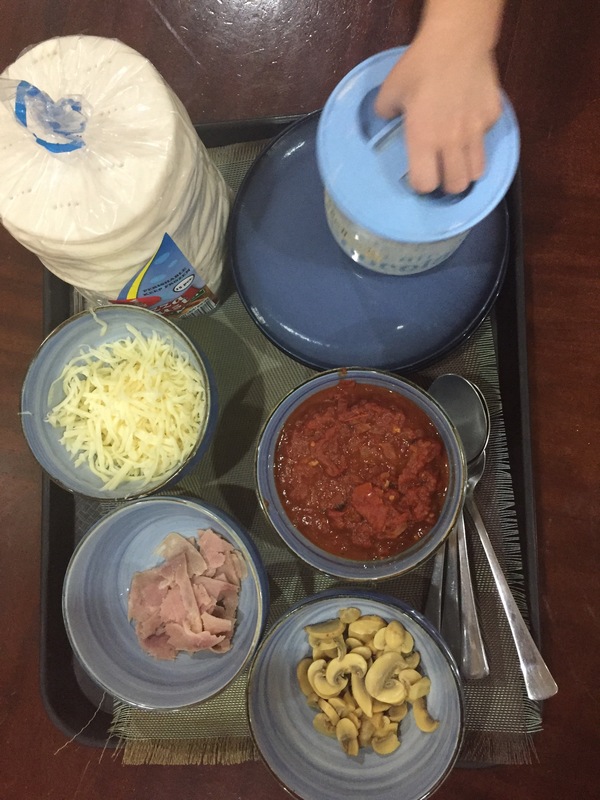 The dough we got were the small ones so it would be easy for my toddler to assemble a pizza. 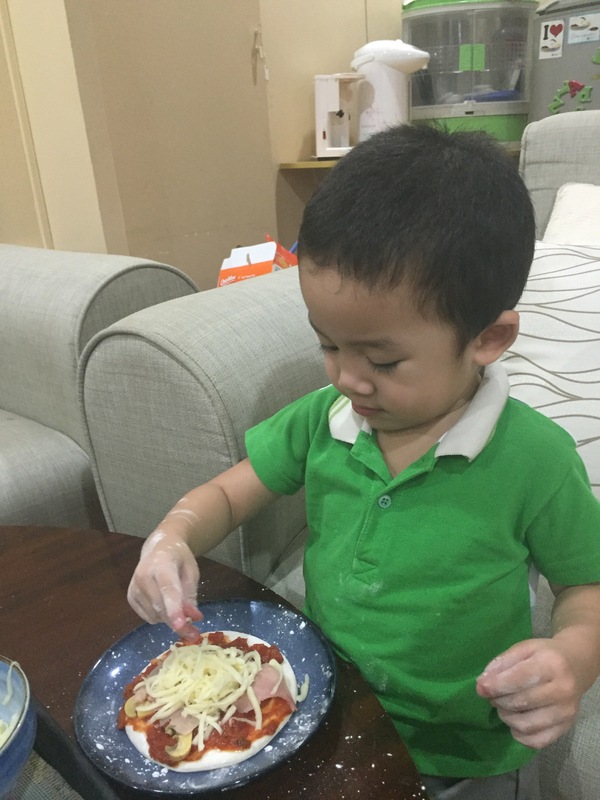 He placed the sauce, then the toppings, and then the cheese. A toaster oven can fit this pizza. After 12-15 minutes we have a a great afternoon snack all made by little chef, Joshua. 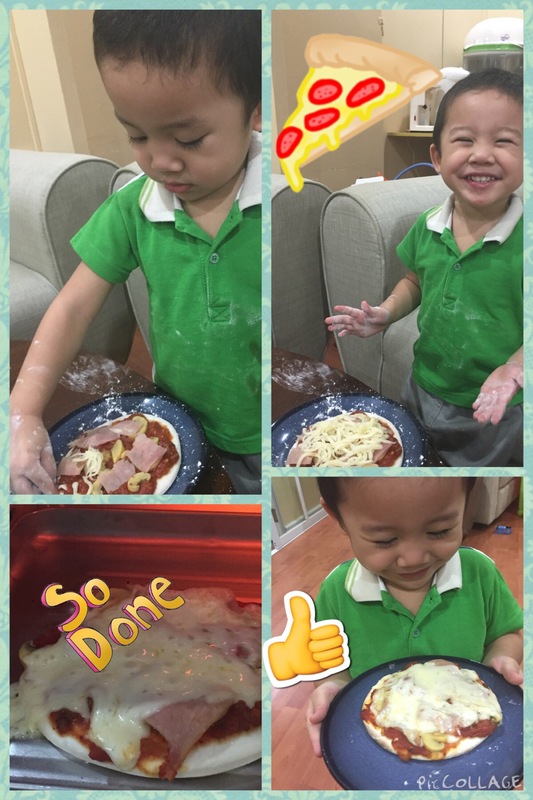 He made 3 pizzas! One for dad, one for mommy, and one for himself. 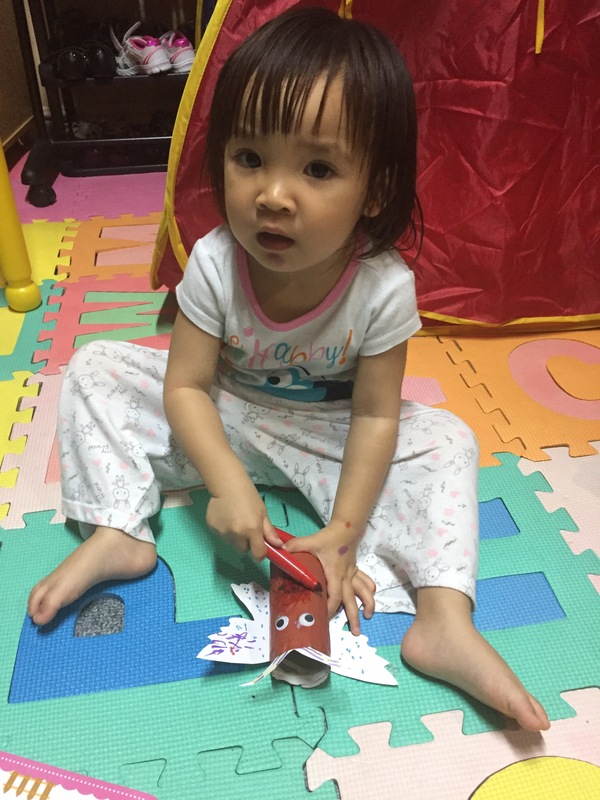 Kids this age would love hands on stuff because they know they are more capable and willing to try.